The PS3 and 360 era was a very interesting time for Japanese developers. The home consoles didn’t really see many great games from Japan compared to the PS2 era but there were a few true gems. While many developers at the time were either doing multi platform or Xbox 360 only games, SEGA brought out Valkyria Chronicles for the PS3 which was a breath of fresh air in a lot of ways. The tactical RPG had a gorgeous art style and was full of well written and designed characters alongside are very good combat system. The series went on to see a PC port and eventually get a proper release once again with Valkyria Chronicles Remastered on PS4. While the games that followed the original were either not well received or unlocalised, SEGA has brought it back in the best way possible. Valkyria Chronicles 4 is a new numbered entry in the franchise that is a proper follow up to the original Valkyria Chronicles by doing everything I wanted from a new entry and surpassing expectations. Don’t let the number in the name push you away. 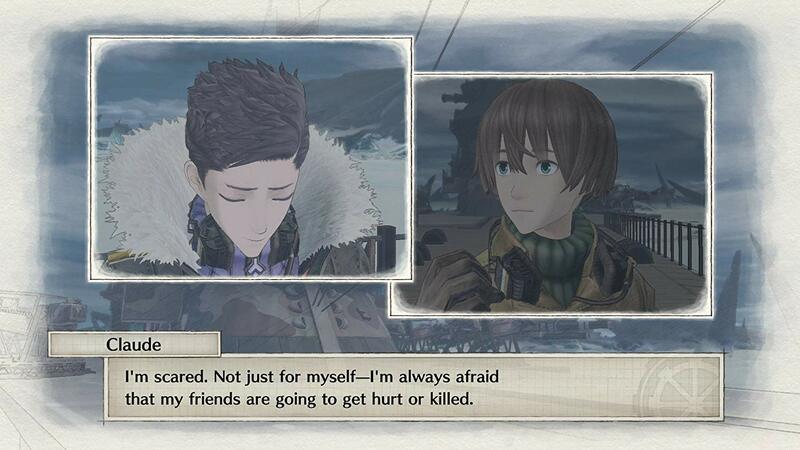 Valkyria Chronicles 4 can be played and enjoyed as your first entry into this fantastic franchise. 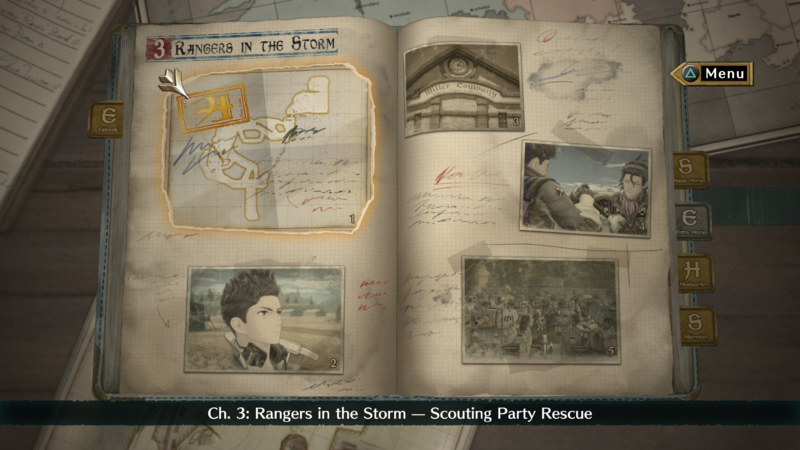 This game takes place at the same time as the original Valkyria Chronicles and Valkyria Chronicles 3 but is based on Squad E. The second Europa war is on between the Atlantic Federation and the Eastern Imperial Alliance. Unlike most war story games, the focus on characters and world building here is second to none. 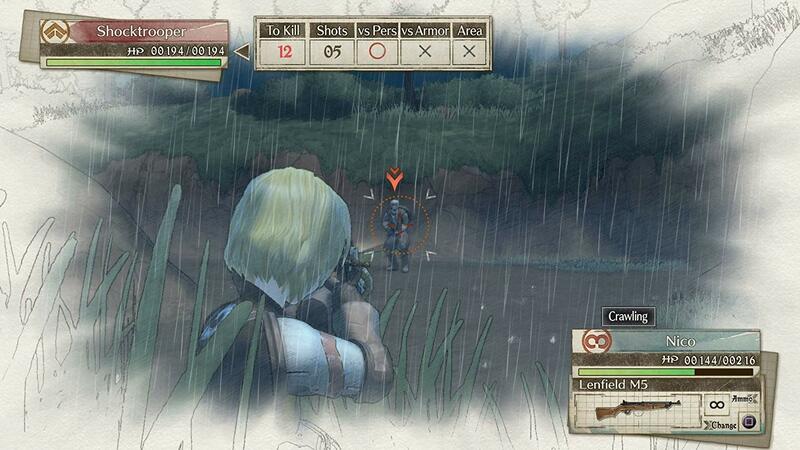 The only game based on a war that has managed to surpass that in a Valkyria Chronicles release is Valiant Hearts. You will definitely be attached to Claude, Kai, and more right from the get go. Squad E is a fantastic cast. The localisation is also pretty great overall with appropriately chosen voice actors. While this release isn’t a huge step forward from the original in gameplay, there are some great changes and additions. The battle system is enhanced and maps are much bigger. There is a new Grenadier class as well. Combat in general is full of risk reward scenarios. While the AI can be a bit daft at times, there are many situations where not thinking things through will result in you needing to replay missions. If you’re new to Valkyria Chronicles, combat is like a mix between a real time third person shooter and a turn based game. An interesting and unique aesthetic is always important for games and while the one on display here is a more refined version of what we had 10 years ago, it still holds up very well. The good thing about the pencil drawn painting style here is that it is timeless. A lot of games from the PS1 and N64 era look pretty terrible today but SEGA’s CANVAS Engine is still great. 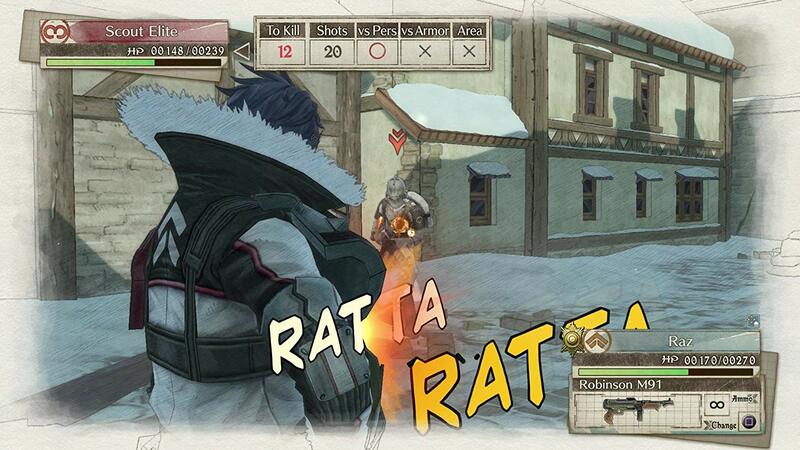 I’ve played Valkyria Chronicles 4 on the Switch in both handheld and docked modes for this review. The Switch version is pretty damn amazing in both modes. When docked, there are a few aspects that could be a bit sharper but performance is solid and the aesthetic can hide some of the fidelity drawbacks. On handheld, this plays and looks even better. I always enjoy playing strategy games on portable devices and it is good to see SEGA putting out such a high quality port when other publishers push out ports that barely run on the Switch. I’d go so far as to say the Switch version is the best version because the performance and visual difference between the other consoles isn’t as drastic as it is for games like DOOM or even the LEGO games. I haven’t been able to check the Japanese voice acting yet as it is available as free DLC day one but the English voice acting is great. While I did enjoy the soundtrack in Valkyria Revolution quite a bit (Yasunori Mitsuda can do no wrong), it is great to see Hitoshi Sakamoto return for Valkyria Chronicles 4. The entire project feels like a love letter to fans of the first game and it is something no one ever expected from SEGA. As with the original, my only real complaint is the difficulty spikes. Some mid game battles are quite hard but thankfully things get better near the end of the game. You will get used to coasting through battles initially but suddenly have things take a turn for the worst. The problem with a lot of these missions is you can just replay them after planning better once you know the gimmick per say. 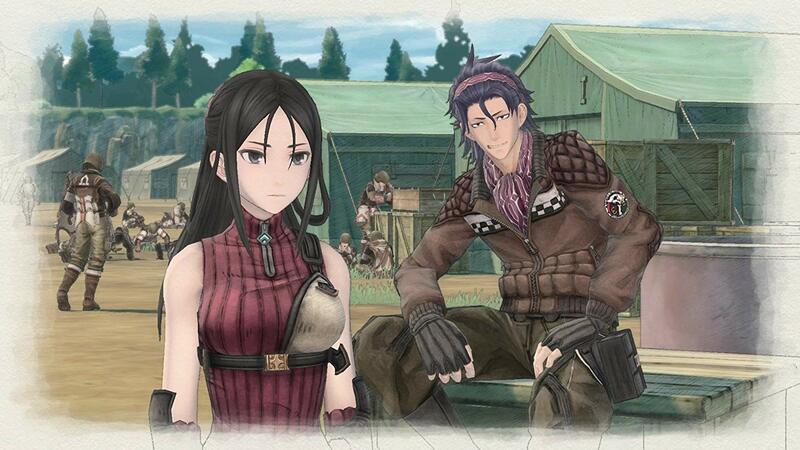 Overall, Valkyria Chronicles 4 is an essential purchase for any tactical RPG fans. It plays brilliantly on the Switch in both modes and SEGA released this on everything including Xbox One with full dual audio support day one. If you’ve been waiting for a true follow up to the amazing Valkyria Chronicles, we finally have it 10 years later on all platforms. It is rare to see a franchise have such a great return to form. We’ve definitely come a long way from an unlocalised PSP mainline entry to one that not only releases on all consoles day one but also happens to be fantastic. IndianVideoGamer.com, Proudly powered by WordPress.